Finally, a single view of your customer. 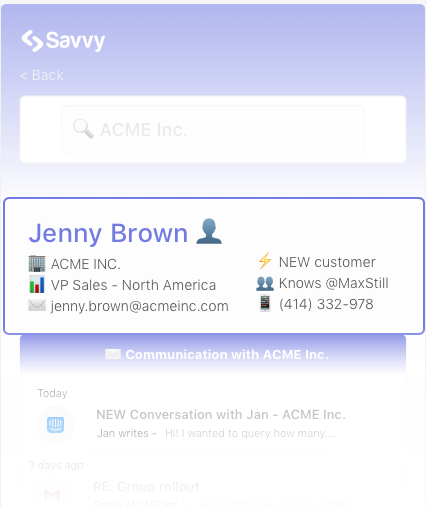 Savvy brings together all of the data across your different SaaS apps to give you a complete picture of the person or company you're talking to. via a Chrome Extension, Slack Bot and Web App. Fragmented apps means fragmented data. You've hired the best tools for the job but now you have data scattered across dozens of different places. 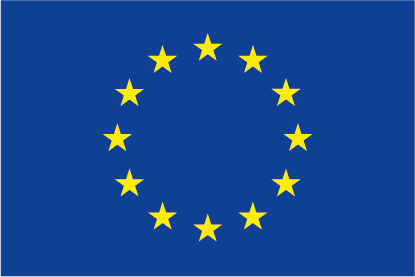 You have no idea who has spoken to whom or when and what they've done on your product. Get a complete picture at the touch of a button. 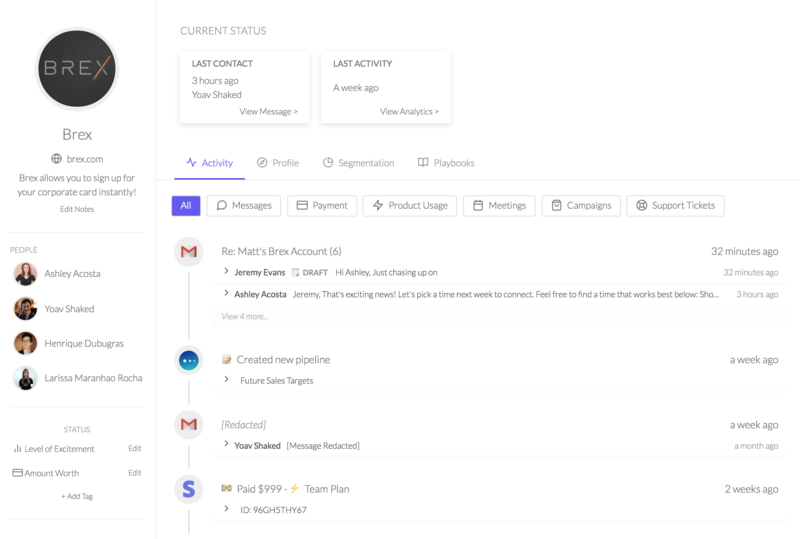 What you need is a single view that takes all of the data from across your SaaS apps and intelligently gives you a complete picture of the person or company you're interacting with. From sales to support and from client management to the C-Suite, every interaction needs the complete picture. Communication is a balancing act. With dozens of communication channels it can feel impossible to keep track of who has said what and when. Savvy intelligently reminds you who on the team last spoke to whom and when. Psst. 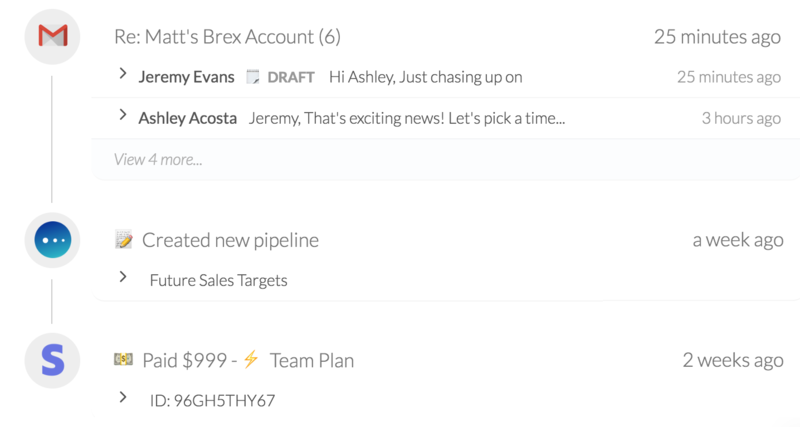 Savvy can also let you request temporary access to a teammates' email for a short period of time. Pretty cool, we know. and the person you're talking to. Want to know who else on your team is speaking to a contact? Now you can. Don't worry, you can never read each others emails without express permission. Savvy ties together the ID of the same person across multiple channels so you can see all conversations in one place. 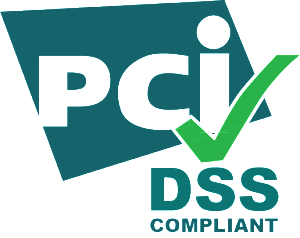 With dozens of separate apps holding sensitive customer data, you need a quick and effective way of finding and removing it. 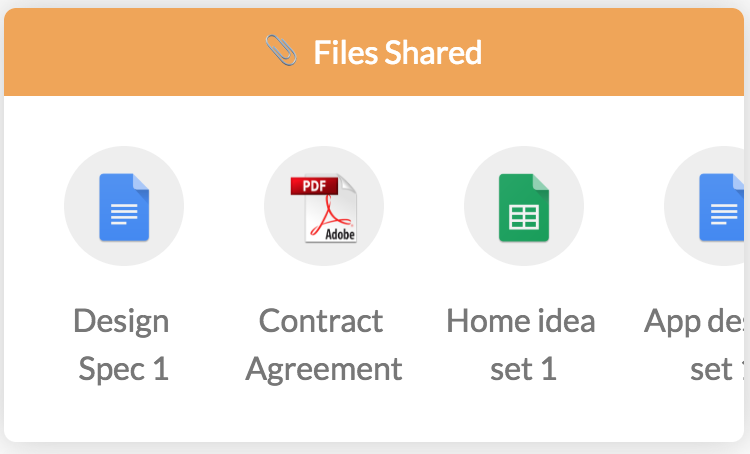 Files associated with a person or account are automatically displayed. 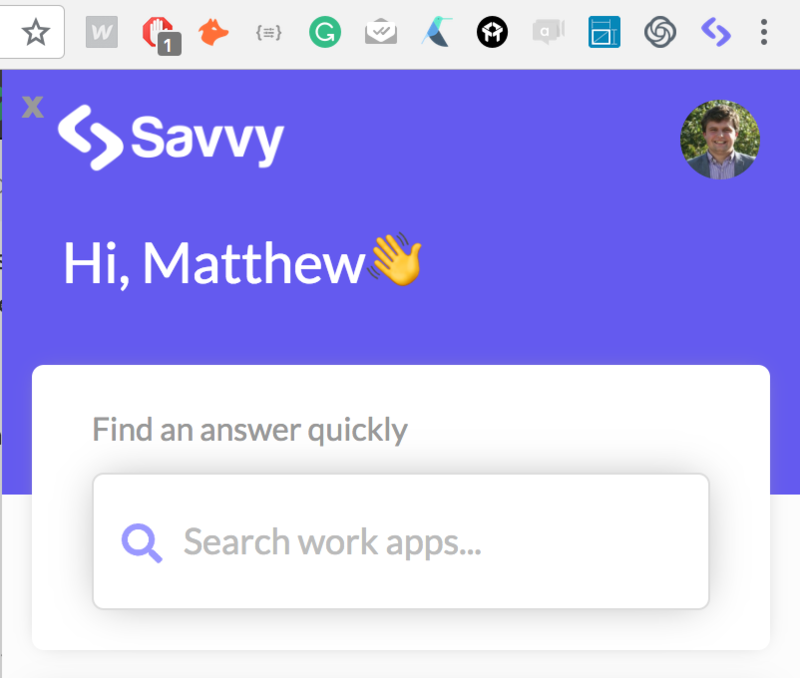 As a browser extension, web app and Slack bot, Savvy already lives where you work. HAVE WE COMMUNICATED WITH THEM BEFORE? Are they a customer, user, prospect? Who else is talking to this person? 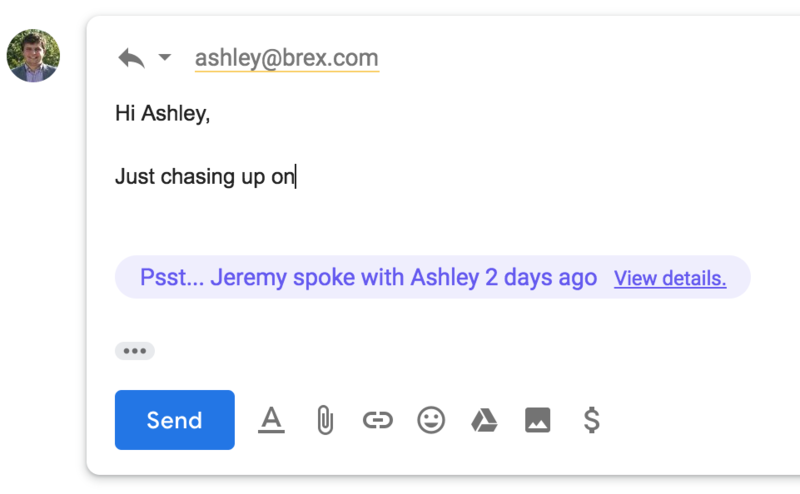 Connect the email accounts, instant messaging services and drip email tools your team use to see how else this person is interacting with you and your team. to attract, convert and retain their customers.